Ten Days of Feed 3! Starting with: Cover Reveal! 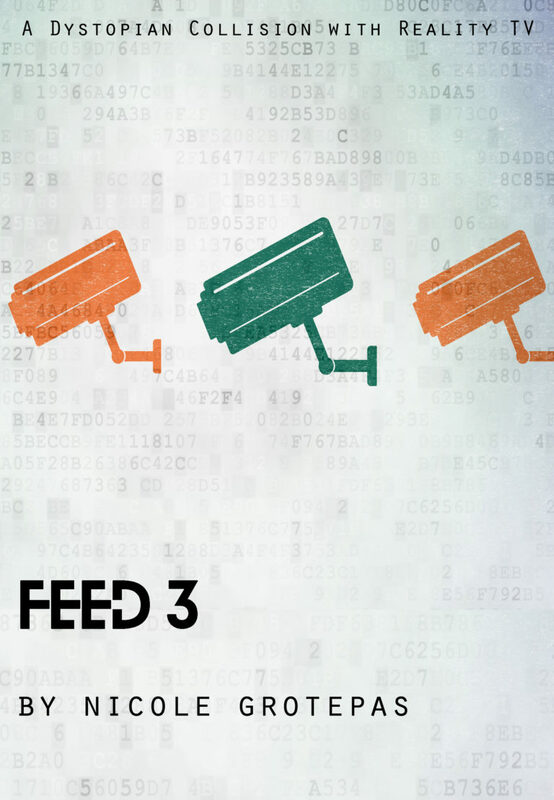 Feed 3 comes out on December 15th and this post should have gone up yesterday. But let’s pretend that today is the 5th and not my mom’s birthday (Happy birthday, Mom! She doesn’t read my blog, haha, but if she happened to glance at it, I would definitely want her to know that she MUST have a happy birthday.). I have a bunch of stuff planned to celebrate the long awaited release of this book. So I want to get right into it. First of all, if you’re not signed up for my mailing list and you’re a fan of my Feed series (also known as the Fooko series), then you should know that if you DO sign up for it, you will receive a copy of “Feed 0.5 (Genesis)”, which is only available to my newsletter subscribers. Here’s the link to do that. Secondly, the cover of the new book! Pretty great, eh? Yeah, it sticks with the style. Thematically speaking. Feed 3 is going to be available in paperback and as a Kindle edition. It won’t be available from any other retailer except Amazon. If it ever is, I’ll let you know. For now, you’ll be able to read it on Kindle Unlimited. It’s going to be on sale for 99 cents for the first week before it goes up to $2.99. OK, one more thing. Feed 1 and 2 are currently not available in paperback because I’m still reformatting them into the smaller (and better) size. As soon as they’re back on sale as paper back, I’ll let you know. Previous Previous post: Enormous Sci-Fi and Fantasy Ebook Giveaway! Next Next post: Ten Days of Feed 3: Teaser!